After noticing an asphalt depression along a quiet stretch of I-94 near Valley City, North Dakota the local Department of Transportation installed an inclinometer and discovered the freeway embankment had moved an alarming 1.5 inches in four months. 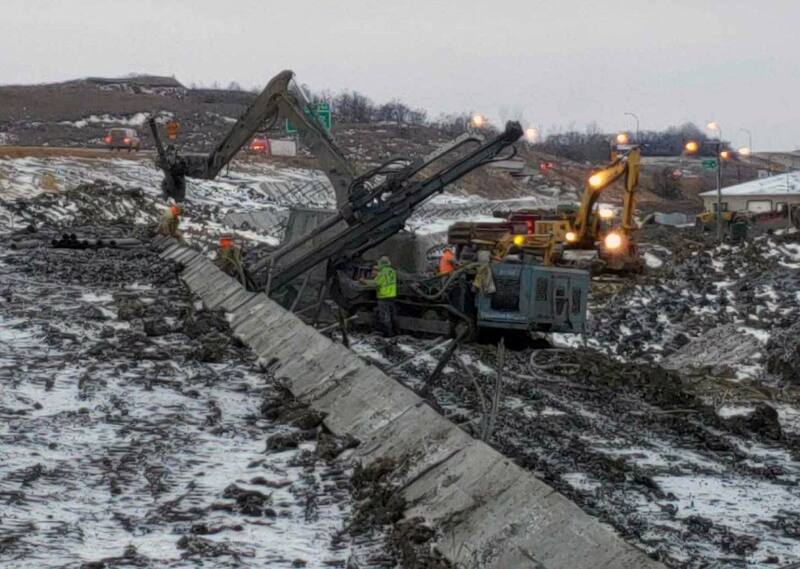 To mitigate this movement, Malcolm is installing a three-tier, permanent tieback anchor solution through 10-foot by 10-foot precast concrete blocks along a 1,400 linear-foot stretch of this freeway. To learn more about this work and see additional photos, please visit our project page or contact Jeff Neal at jneal@malcolmdrilling.com.